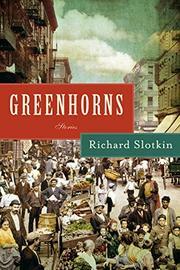 As a young child in a Yiddish-speaking home in the Bronx, New York, my mother took me to a few Yiddish plays. I understood every word and I loved the experience. I am no longer a young child, and I live in Cleveland, OH, but my dream to see another Yiddish play came true recently … and what a play it was! Three months ago, in the Arts section of the New York Times, I read that there would be a Yiddish version of Fiddler On The Roof. I was overwhelmed, but recovered and bought two tickets that day! I then asked my cousin Helaine, who lives in New York City and could put me up for a weekend (and who understands Yiddish) if she'd like to go as my guest. Her "Yes!" was immediate, and I made flight reservations. The reviews in the New York Times and the Jerusalem Times were outstanding. The play was being performed by the National Yiddish Theatre Folksbiene (Folksbiene = People's Stage), which is housed in the Museum of Jewish Heritage in Battery Park, New York. The Folksbiene presents both English and Yiddish shows, but this was the first time in 50 years (!!!) 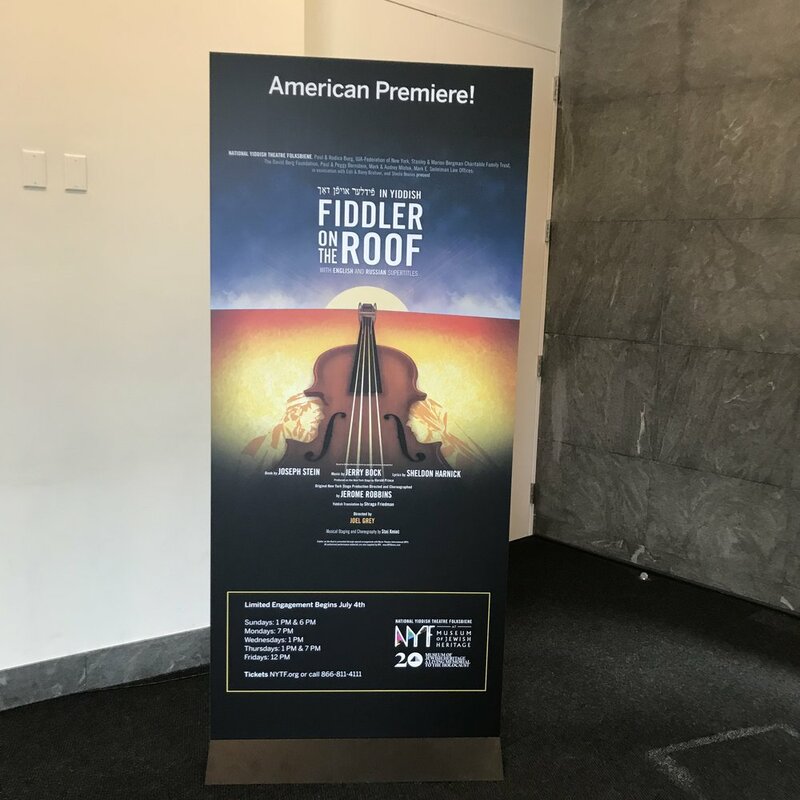 that the Yiddish version of Fiddler was being shown in New York for a wider audience. My cousin and I sat in great anticipation before the play began, and as soon as the young woman, who played the "fiddler", began to play "Tradition", Helaine and I began to cry, and looking around, I saw we were definitely not alone! The play was true to its original form and the translation was very good. For example, the title was a perfect translation..."fidler oyfn dakh". Tevye was performed by an outstanding actor who also was a singer and a dancer. His joy, his sadness and his love were portrayed beautifully. The dancers in the cast, portraying, either khasidim or Russian peasants, were thrilling. There were supertitles in both English and Russian, but I think the majority of the audience understood Yiddish, as the frequent laughter came before the translations were fully displayed! I was home...amongst my people...and I loved every moment of this outstanding performance. And we heard a rumor that there is talk of taking this Yiddish play on the road! Be on the lookout for it...you won't be disappointed!!! The day after I saw "fidler oyfn dakh", cuzzy Helaine and I were out walking. As it was very hot, we went into the 42nd St. Marriott Hotel to cool off. I sat in a chair opposite a young woman wearing a "Beautiful" T-shirt. Carole King was singing in the background and I mentioned to the young woman how nice it was to hear Carole King's voice and look at her Beautiful" shirt which was the name of the Carole King musical. We chatted and she asked me if I had been to the theater yet this visit. When I said I had, she asked me for the name of the play. I only got as far as..."The Yiddish" when she stopped me and said..."Fiddler"!?!?!? "Yes", I said. Excitedly, she then told me that her best friend was the fiddle player who symbolized the "fidler oyfn dakh" in the show!!! Nine million people in NYC, and I met the friend of the woman (fiddler) who made me cry while she played the day before! I love serendipitous happenings and again, I wasn't disappointed!! !